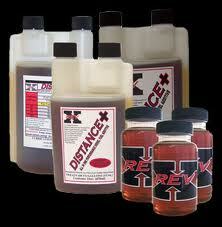 East Coast Diesel is proud to announce that we are now a stocking distribute of the complete line of Rev-X Products. Rev-X is a common name in the Ford Powerstroke world. The Rev-X Engine Oil Additive has been known to correct some of the common 6.0L injector issues such as spool valve stickage. This is a problem were the spool valve does not actuate properly due to worn tolerances in the valve assembly. The spool valve is on the top of the injector were the High Pressure Oil enters the injector. The use of the Rev-X Oil Additive in you Powerstroke Diesel will defiantly help with the longevity of your Injectors. Here is a Link to were you can purchase the Rev-X Product. This entry was posted in New Products and tagged 6.0L, 7.3L, Fuel Additive, Injector, Oil Additive, Rev-X, Spool Valve, Stickage by East Coast Diesel. Bookmark the permalink.